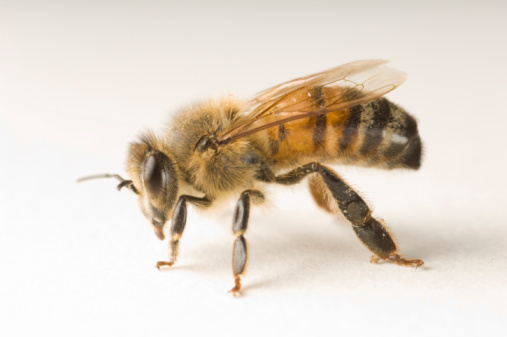 NORFOLK -- The mysterious "zombie bee" parasite that kills honeybees has reached the southern United States after scientists confirmed a case in Virginia about an hour outside Roanoke, researchers announced this week. Flies attach themselves to the bees and inject their eggs, causing erratic "zombie-like" behavior in the bees such as flying at night and toward light. The bees often die within hours. Fly larvae burst out of their carcasses days later. The phenomenon was first discovered in California in 2008 and has spread to states including Oregon, South Dakota and New York. But even as "zombie bees" reach the South, scientists still don't know what role they might play in the pollinator's alarming decline. "We're trying to answer some of these questions about how important this is," said John Hafernik, a biology professor at San Francisco State University who studies "zombie bees." ''We don't know whether it's a major player in honeybee decline or a minor actor in a B-movie." Honeybees contribute billions of dollars to the U.S. agriculture industry. They already fall prey to mites, viruses and Colony Collapse Disorder, a phenomenon in which worker bees disappear or abandon their hives. Hafernik said he turned to the nation's beekeepers to lookout for "zombie bees" and report any noticeable patterns. One of them is Lynn Berry, 50, of Collinsville, Virginia, a receiving manager at a mattress and pillow factory who keeps bees as a hobby with his wife and mother-in-law. Berry learned about "zombie bees" from presentations at local bee clubs. And some of his bees did indeed hover at night around an outdoor garage light before dying. He put the carcasses in a jar covered with cheese cloth. After maggots emerged days later, he contacted scientists in California, who confirmed that Berry had discovered Virginia's first case. "My concern is what is going to happen as this spreads more and more," Berry said. "At this point it's kind of sporadic and here and there. But everything starts somewhere. Bees have enough issues as it is." In the meantime, like-minded beekeepers across the country are collecting dead bee samples. But Richard Fell, professor emeritus at Virginia Tech's entomology department, said he's not alarmed yet. For instance, he said, there are flies in other parts of the world that have similarly killed bees without a severe impact on the population. "At this point, I'm not worried," Fell said. "We don't have enough data to make any kind of conclusion."